It’s that time of year when the focus shifts from teaching new content to making sure that all learners feel poised to tackle their GCSEs. Ensure your students are ready to say bonjour, hola and guten tag to their summer exams with this selection of lessons, activities and practice papers, all selected from our quality assured GCSE revision collection. Surely there’s no better way to kick-start pupils’ revision? Looking for more GCSE revision resources? 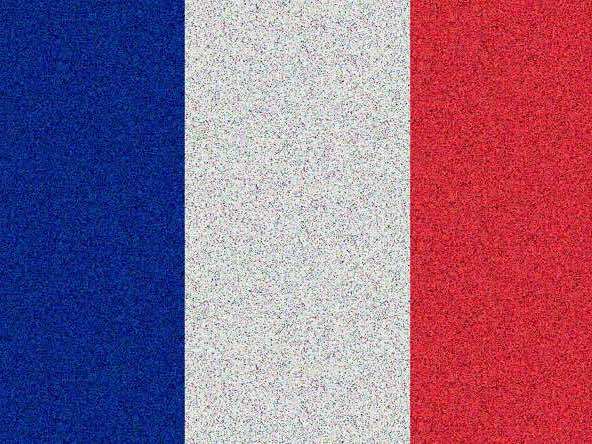 Check out our French collection. NEW EDITION ADDED. You need to print this in colour in order for it to work. Throw a die, land on a square and conjugate the verb in the correct tense. Get it wrong and go back three spaces. Very easy for you to edit to suit your groups. 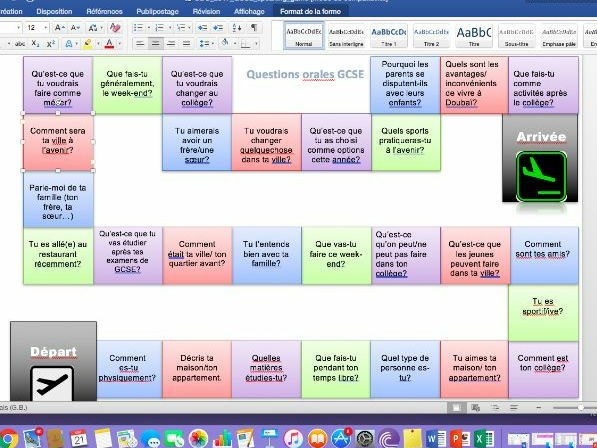 Colour-coded board game for GCSE Speaking revision. Topics covered: Moi et ma famille, Ma ville, Mes loisirs, Mon collège. Questions can be edited. First student to reach the end wins the game. Buy all 4 of my AQA French GCSE revision workbooks for the price of 3! Looking for more GCSE revision resources? Check out our German collection. Revision Quiz based on a template for Trivial Pursuit found on TES. Split class into groups - each segment is triggered so if you click on it, it turns the colour indicated on the key in the top left of the slide. Aim of the game is to get a full wheel - to do so pupils need to answer one question correctly on each topic. Click on the coloured squares next to the topics to get a choice of 10 questions. Click on the number to get a question. Click on the “Answer” button to get the correct button. Click on the “home” button to return to the 1st slide. Writing Mat designed to assist students in the writing of the 90 words, 16 mark task, in the new AQA GCSE (1-9). It has lots of useful phrases, verb help, a pupil speak markscheme. Very useful to stick in the front of pupils' books/print out back to back and laminate for use in class. I have found they have gone down very well with the pupils when scaffolding the writing task. A student-friendly infographic that can be used as a display or put into books, with the key points from each new GCSE grade. Turn a whole chapter into a crime story! This project is intended to complement/ replace exercises from the text book and will link the pages together into one thrilling crime story. 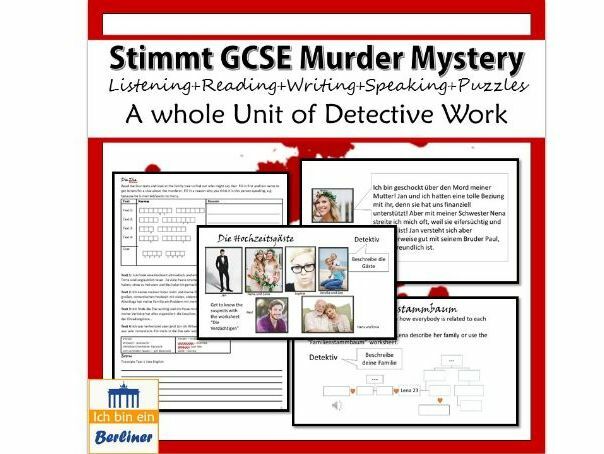 My students ask every lessons if they will find out ‘whodunit’, especially as there is a prize for the best detective! The project should not take up much more time than using the book on its own as some tasks can replace text book tasks and get students to revise the text book vocabulary in a different context. Looking for more GCSE revision resources? Check out our Spanish collection. There are 3 booklets, divided by AQA's themes, with spaces for students to prepare answers for the General Conversation part of the Speaking assessment. The assessment criteria is shown and there is space for a draft answer, teacher comment and then a final answer. Students can also plan questions to ask and read a few tips for the Speaking exam. GCSE Spanish AQA - Theme 1- Summary of each topic in booklet form. GCSE Spanish AQA - Theme 1- Summary of each topic in booklet form based on Theme 1 of Kerboodle textbook. Covers vocab/ grammar/ misconceptions/ and suggested Qu & A. 'Credit Card' refers to pupils' opportunity to pick out words they want to 'own' for themselves. Core vocabulary sheets for all main topics. Photo description vocabulary + examples. Bilingual list of key structures for all topics. List of speaking questions for all topics. Exemplar essays and answers to oral questions.